In my daily trawls through the Porsche aisles of the eBay store, I stumbled across this wonderfully presented beauty of a 997 Turbo. While the car is currently wrapped in day-glo green, the original black with red-orange accent is a far better look for this thing. 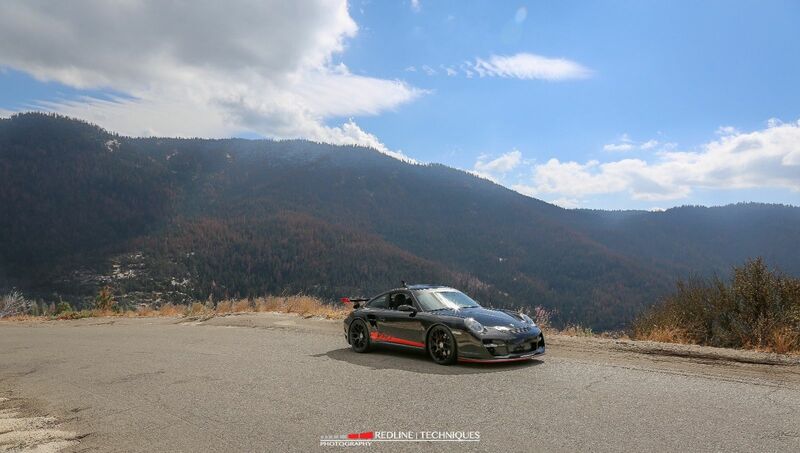 The car has a full Vorsteiner VRT body kit with a giant gaping front bumper, and a rear diffuser with a cool wing on top, as well as all of the updates to the body needed for 997.2-style LED lighting. 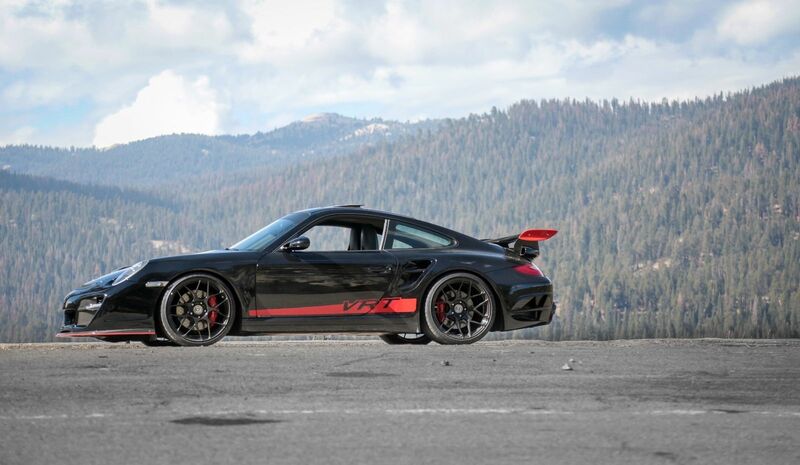 Porsche's 997 Turbo is already an amazing car on its own, but the Vorsteiner body kit actually looks like it could have come out of the Stuttgart skunkworks, as it's over the top, but not so over the top as to be unbelievable. According to the seller, only three of these cars were actually built. 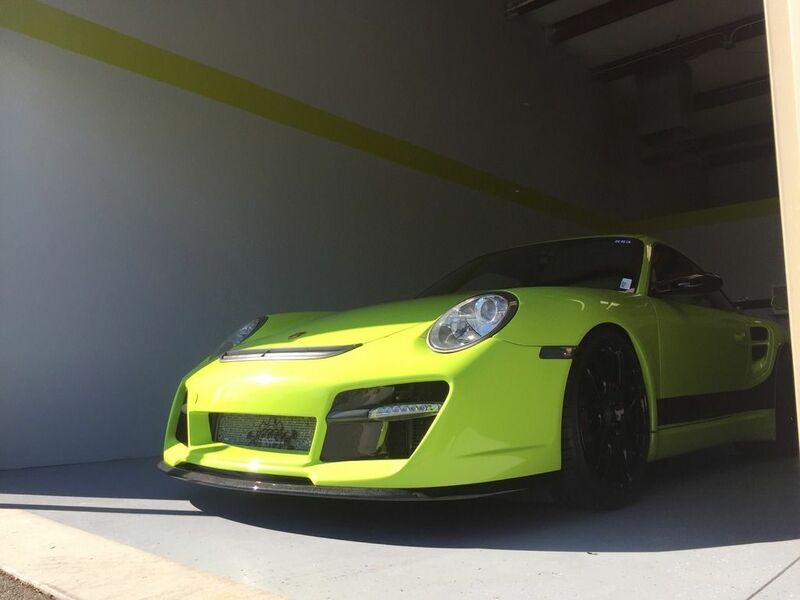 As for performance, this car has been tuned up with a Cobb accessport tuner to their "stage 2" tune. According to the Cobb website, that means it should have somewhere around 580 horsepower. That's a decent jump from the car's stock performance of around 520, and about what the current Turbo S puts out from the factory. Being that this car is narrower and lighter, it probably would have the legs on the 991 version on the top end. It sure would be an interesting head-to-head comparison. Given the car's exciting updated looks and stellar performance specs, the $75,000 asking price doesn't seem all that far fetched. 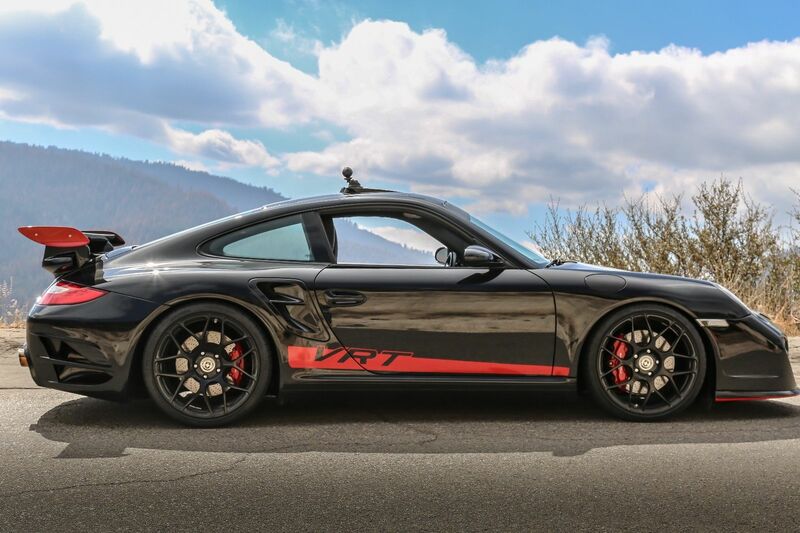 Considering that the regular 997 Turbos are trading hands for maybe 10% less than that, occasionally more, this Mezger-engine wonder seems like a lot of car for the cash. As with all things in life, Caveat Emptor and all that. If you like, check out more photos and information here on the eBay listing page. Here's proof that the "talented driver" mod is the ultimate advantage. Tons of power and tons of grip leads to some serious acceleration.